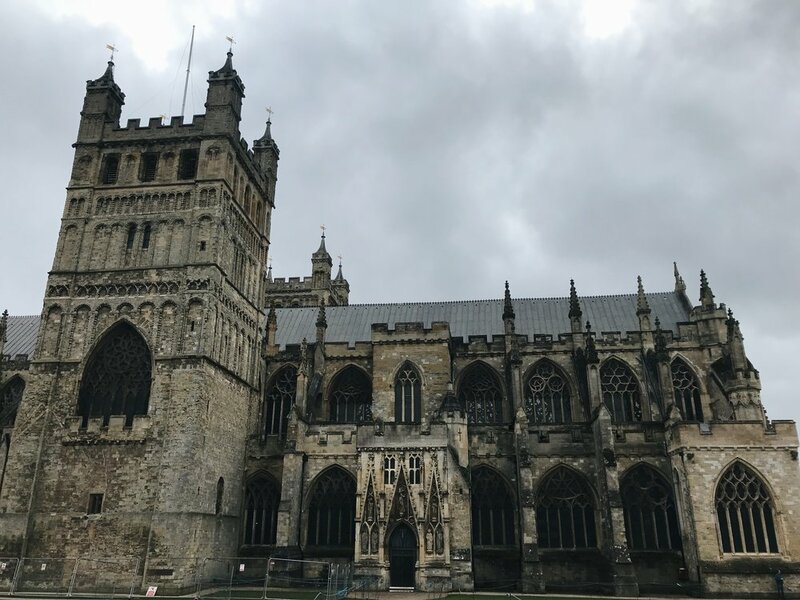 My journey with the United Kingdom first began six years ago when I attended Calvary Chapel Bible College to finish my last semester of school in York, England. I had always hoped to visit the U.K. and when I arrived there, my heart for England only grew stronger. After waiting four years, I was finally able to return, but this time to a town called Wadebridge, a small community in Cornwall, to serve for two weeks at Creation Fest. The next year, I was given the opportunity to serve as an intern with Creation Fest and live in Wadebridge the entire summer. During that time, I made connections and relationships with a local church that I attended. I’ve now been given the opportunity to live and serve in the U.K. long term, working with the church as their children’s and youth liaison and project coordinator for all of their involvement with Creation Fest. I am so excited to live within this community to build relationships inside and out of the church and share the hope of Jesus with all that I come in contact with! I can't believe its March already, February got away from me so sorry for the lack of an update last month! February was a busy month filled with planning for a few different events coming up in March. One of which was a pancake party we had this past week for Shrove Tuesday, the last day before the start of Lent. I've learned that pancake day is a big thing over here, because lent is widely observed all over the country even amongst people who aren't religious. 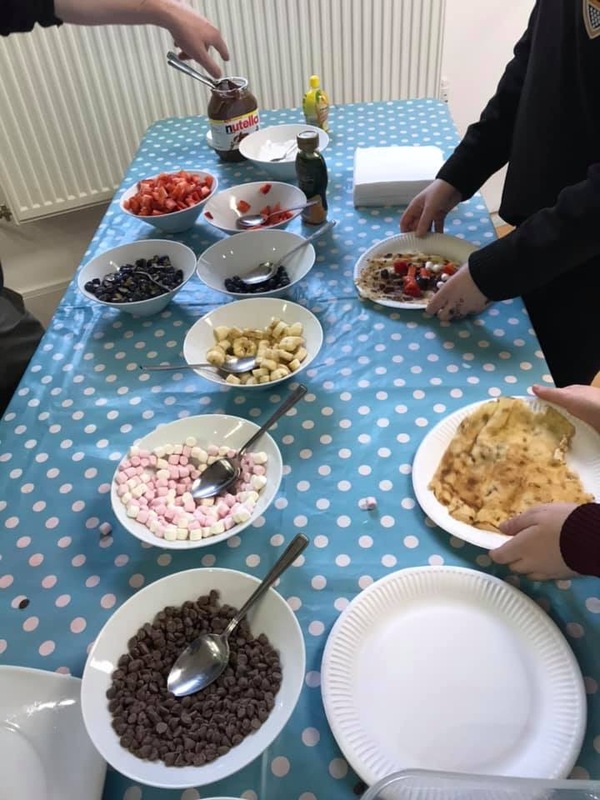 So we wanted to take this opportunity to reach out to the young families in our community and offer free pancakes, crafts and games at the church to celebrate Shrove Tuesday. This was the first event that I planned and organised myself. That meant putting together and posting all the publicity for the party, planning and prepping all the games and crafts, buying and putting together the supplies and reaching out to people in the church to serve and help at the event. 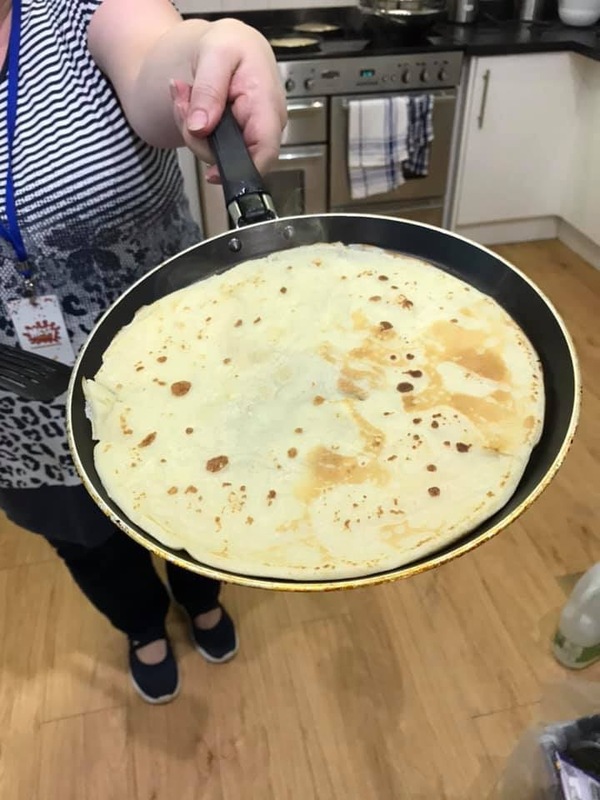 To be totally honest it was a bit stressful trying to gather volunteers when I still making connections here at the church, but in the end of it, the Lord totally provided everything that was needed, down to the last pancake that was made (which was around 70)! We saw about 40 people come through, most of them kiddos, which was very loud and chaotic because they were full of Nutella and marshmallow topped pancakes, but it was a lot of fun. And at the end of the day, that was my hope, that the kids would come here, have fun and be comfortable enough to come back! 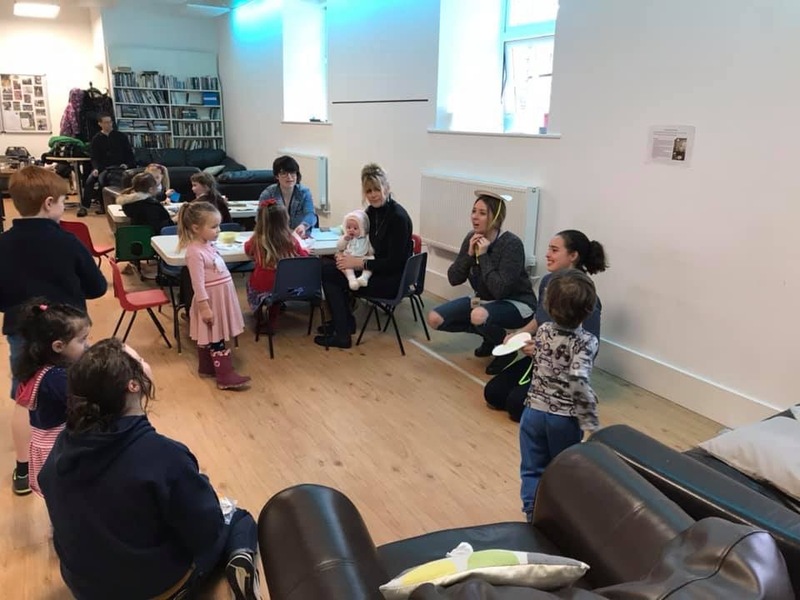 There were a few moms who came whom we've never seen before, so we were able to invite them to Messy church and our Mothering Sunday service this month. 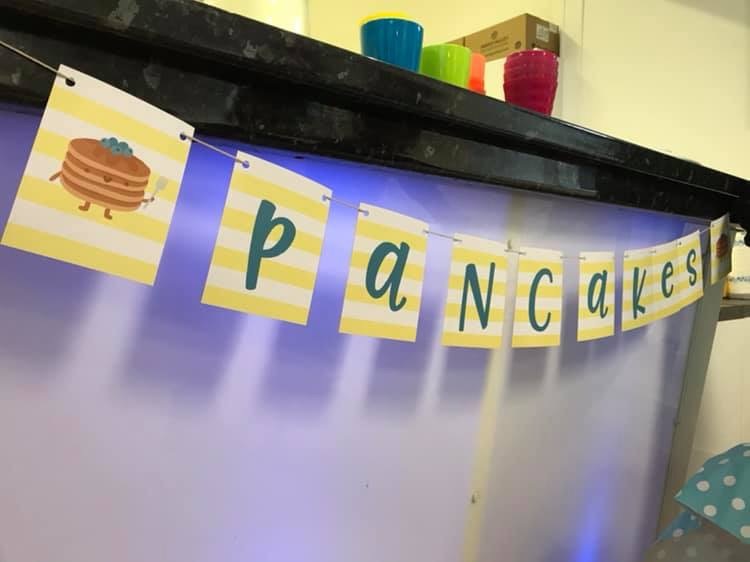 Overall we were happy to have exactly who God planned for to come out to the pancake party and hope it leads to more connections with the unchurched families in our community. Tomorrow is a busy day for me, I'll be teaching in Kingdom Kids in the morning. The church just started a series on Joseph, so every area of church is going over the same bit of scripture. I was lucky enough to get to write a lesson plan on Genesis 39, Joseph and Potiphar's wife... that's a fun one to work around with kids! But the Lord really blessed my time in preparing for them, focusing on Genesis 39:2, that God was with Joseph, in his success of running Potiphar's household and in his time when he was wrongly sent to jail. In the evening we will have our Messy Church service for the month of March where we will be celebrating "mums" in honour of Mothering Sunday coming up. Please be praying for that evening, that many families will come out and that it would continue to be a connection to Jesus and to the church and prayerfully to the point where they would be comfortable to come out for a Sunday morning service as a family. Thank you to all who are supporting me through your finances, without which I wouldn't be able to simply live a life out here in Wadebridge. And thank you to all who I know are praying for me, there are times when I truly believe I am living off the prayers of those who love me and are encouraging me from an ocean and country away. I am beyond grateful for everyone of you; please don't hesitate to ever reach out and say hi or ask any questions about what is happening out here, its easy to miss the details of everyday life in a long update! -My heart and mind, in the moments when I feel really lonely, missing my family, friends and Josh. And that I would trust the Lord with plans for my future after this year is done. Catching pancakes on our heads (aka tortillas)! Such a fun little, historical city! I love England! Hey all! Thanks for being patient as I catch up on a long awaited update from my first month living in Wadebridge, Cornwall. It's hard to know where to begin... I'm working at a local church called Wadebridge Christian Centre as their children, youth, and family intern, so that means I am essentially over most things that fall under that umbrella. I'm leading and planning lessons for the children's ministry, Kingdom Kids, twice a month. This has been a fun challenge because we have one room and one lesson for kids ranging from ages 5-11, that's a pretty big gap! We have around 10-15 kids every week and its been really sweet to start getting to know the kids and pray through how I can serve them best while I'm here. The Lord gave me Matthew 19:14 for my time here, "But Jesus said, 'Let the little children come to Me, and do not forbid them; for of such is the kingdom of heaven.'" It's easy to feel like you're not doing much when working in children's ministry because there isn't always fruit that you can see right away, but being reminded that I came here to simply bring the little children to Jesus and He will do a work in the heart of these little ones as I'm faithful to that calling. Another ministry that we have here that I am now coordinating and heading up is called Messy Church, which is a whole family service one Sunday evening a month that has crafts, games, dinner and a short message/discussion, all in hopes to reach unchurched families in our community and to help encourage them to do things and have discussions together as a family. And ultimately that they would also come to see that church isn't about a stuffy, religious building, but that there is a God who loves them and died for them and wants relationship with them! It's a really fun and relaxed time, and a huge investment into the lives of these families. From this we are hopeful to put on an event once a month separate from Messy Church, to invite and continue to build relationships with these families who come to these "fringe events" but aren't quite ready to come to Sunday morning services yet. This past week I was able to go to our local primary school with my line manager Drew, who is one of the pastor's here, for an assembly that we get to put on once a month. The school has allowed WCC to come in do whatever we would like, and that includes sharing the Gospel with them, in a public school! So Drew just introduced me and did a quick interview with me, I told them about where I'm from, why I moved out here and how my faith in Jesus has helped me to adjust to all the big changes that have just happened in my life. It was so sweet to see all those kids (especially because they are all in uniform and look like they are in a Harry Potter film, so cute), but God is continuing to remind me that they are the reason He brought me here, to make him know to these kids and everyone I come in contact with. It was a huge adjustment moving out here and to be honest my first few weeks were very overwhelming. I felt like I made a huge mistake moving away from everything I knew. I missed my family, my friends, my church community as well as my boyfriend Josh who lives four hours away by train. It all felt very lonely and isolating and I just didn't feel equipped for the job I came out here to do... I really didn't think I would have that hard of a time coming out here, so I was a bit surprised with myself and really just felt mentally, emotionally and spiritually tapped out. But God, two of the sweetest words, met me where I was, and so graciously reminded me of His goodness, and that He had sent me here at this time in this place and that I could trust that His plans are good even though I was feeling anything but good. As He's changes my perspective and reminds me of His goodness, I'm able to draw on Him for strength and joy daily. Some days its a very conscience choice when its a bit harder because I am homesick or feel overwhelmed with some of the work thats ahead of me, and others I am so happy to be here and serving where I am. But at the end of it all, I am learning more of His goodness and grace in this season and am praying that He would be glorified because of it in the end! Miss you all and thank you so much for your prayers, I could tell so much more but I'll spare you the novel of information update I could write! My heart and mind on the days when I struggle with fear or loneliness of missing my family, Josh and my friends; to continue to believe and trust God's goodness.